We’re towards the end of May, and spring is already almost over. 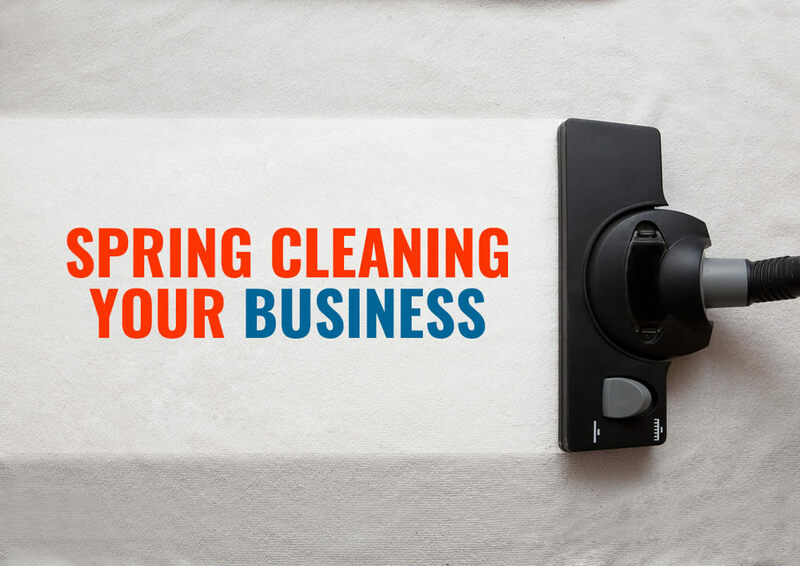 The time for typical spring cleaning has almost passed, but it’s never too late to spring clean your business! We’re not just talking about cleaning up the office (although that can help too! ), but also getting your business prepared to perform well throughout the rest of the year. Business can get messy – content gets old and outdated, emails stop working as well as they used to, documents pile up, etc. So, it’s important to do a little spring cleaning every once in awhile. Today, we’ll give you a few ways you can spring clean your business! How is your content performing? Are you beginning to rank for terms that are important for your business? Is your traffic increasing, or starting to hit a plateau? It’s good to evaluate your content strategy at least once a quarter. Perhaps you need to crank out a few extra blogs to get to the next level, or focus more on keywords that can generate traffic. Maybe you need to be more active on social media? Or develop a new whitepaper, teaser video, or infographic. Whatever the case, get a sense of how your current strategy is doing, and consider what you need to add or subtract to that strategy to help amplify your content’s success. When is the last time you changed your email autoresponder? In general, if something is working well you shouldn’t mess it with it much. But over time, your email autoresponders can get outdated and no longer fit well with the direction of your company. So, take a deeper look at both the performance of your autoresponder and the type of messaging. Consider how you can improve that performance, as well as if there are any other products or offers you can put in that will generate more sales and value for email subscribers. Some subscribers will inevitably stop opening your emails over time, no matter how good your email content is. When this happens, your email stats (like open and clicks) will decrease, and your bounce rate will go up. These things increase the odds that your emails will land in the spam box! To prevent this, do a little spring cleaning! Go through your list and find subscribers who haven’t opened an email in the last two or three months. Then, download that list of subscribers (you can use those emails for Facebook retargeting ads and lookalike audiences in the future). Once you’ve downloaded the list, you can go ahead and the delete those subscribers. Or some list managers let you email those subscribers having them re-confirm that they want to continue hearing from you. It may feel painful, but odds are strong that non-responsive contacts will remain non-responsive. There’s a cost to that… so it’s wise to get that cleaned up! If you advertise on Google Adwords, make sure you’re reviewing your campaigns to clear out the clutter. Make sure your campaigns are generating a return or it’s time to make an adjustment. Do you still have a clunky fax machine in the office? A lot of businesses do. The fax machines take up a ton of space, and also leaves you a bunch of documents to print, organize and find room for. The crazy part? You don’t need them anymore! We’re in a new age, and with it, there is a new and improved way to fax. Specifically, fax apps. With fax apps like FaxBurner, you can archive faxes in the cloud, send and receive faxes using email or your smartphone, and maintain a fax number without the phone company. Plus, no wasted paper, ink, or electronics. A clean office helps company morale, and it also just makes you and your employees feel good about going to work. This positive affect can lead to small boosts in customer service and performance. It may sound silly, but a little cleaning can go a long way! With summer on the horizon, chances are your business can still use a spring cleaning. It can help give your business a fresh start and get you ready to crush it throughout the rest of the year. Use these tips to clean out the business cobwebs and set yourself up for success.